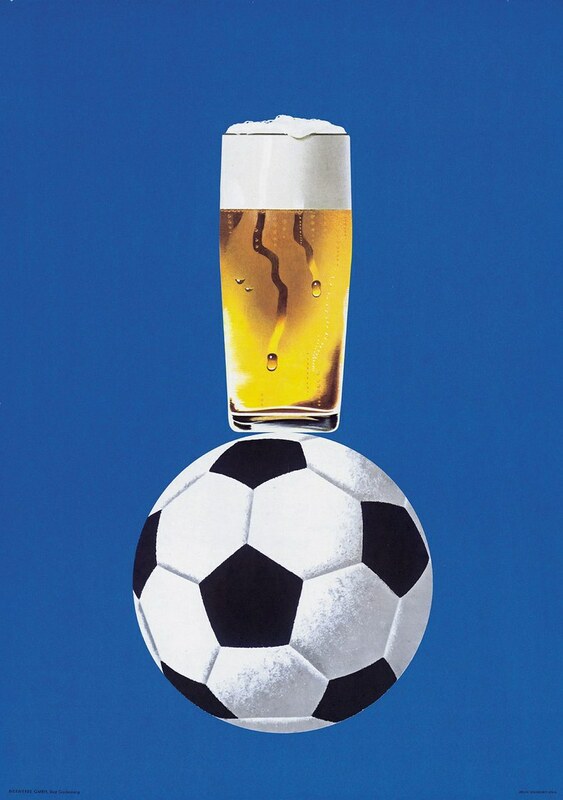 Sunday’s ad is for Bier auf Fußball, or “Beer on Football,” from 1960. From the late 1800s until the 1960s, poster art really came into its own, and in Europe a lot of really cool posters, many of them for breweries, were produced. This is part of a series of posters promoting beer by the German Brewers Association in the mid-20th century. It was created by Swiss artist Herbert Leupin. Given the chicken in the word geek’s origins, it’s fitting that one homebrewer has combined his love of brewing with a rubber chicken. Former jet pilot Phil Farrell, a retired Lt. Colonel in the Air Force, began homebrewing over ten years ago. 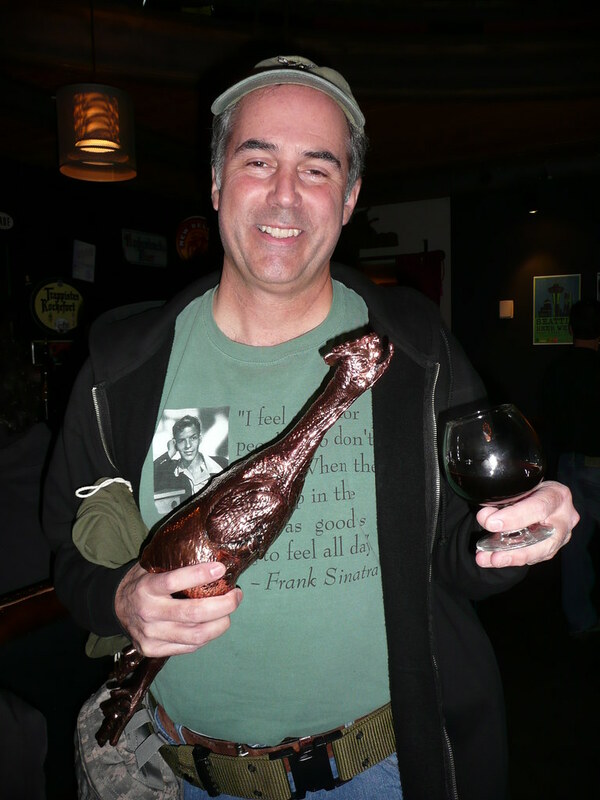 Living in north Georgia, he became active in a local homebrew club named the Chicken City Ale Raisers, because their home, Gainesville, Georgia, is the “Poultry Capital of the World.” The group was looking for an edge in competitions and, as a joke, Farrell picked up a rubber chicken to use as a mascot. They started winning and, looking for more magic, the chicken started coming along to festivals. As a goof, he started taking photos of the rubber chicken with brewing luminaries. At first it was slow going, but once Charlie Papazian had his picture taken, things started to take off. 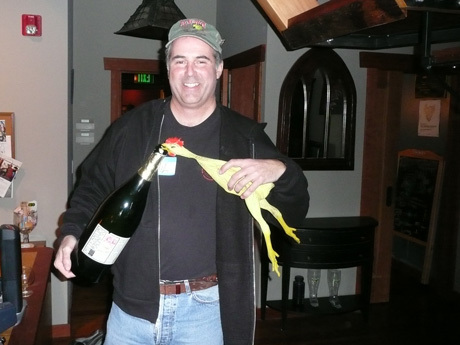 Today, nobody squawks and Farrell has about 2,000 photos of beer people with the rubber chicken, enough to fill ten photo albums. And it’s still magic, last year Farrell was named the Mid-South Home Brewer of the Year for second time. And given craft beer’s recent growth, perhaps we all owe the rubber chicken a debt of gratitude? 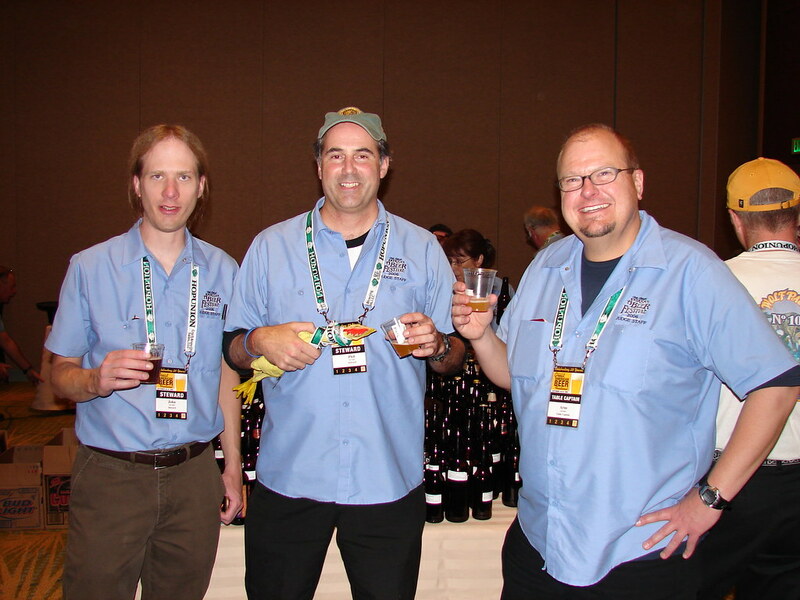 Phil is also frequently a steward at GABF and the World Beer Cup, and also is a judge in his own right. He also attends many national beer events and is a fun guy to talk, and drink, beer with. Join me in wishing Phil a very happy birthday. Phil at the Hard Liver Barleywine Festival in 2005. Phil after his rubber chicken was bronzed, in 2010. 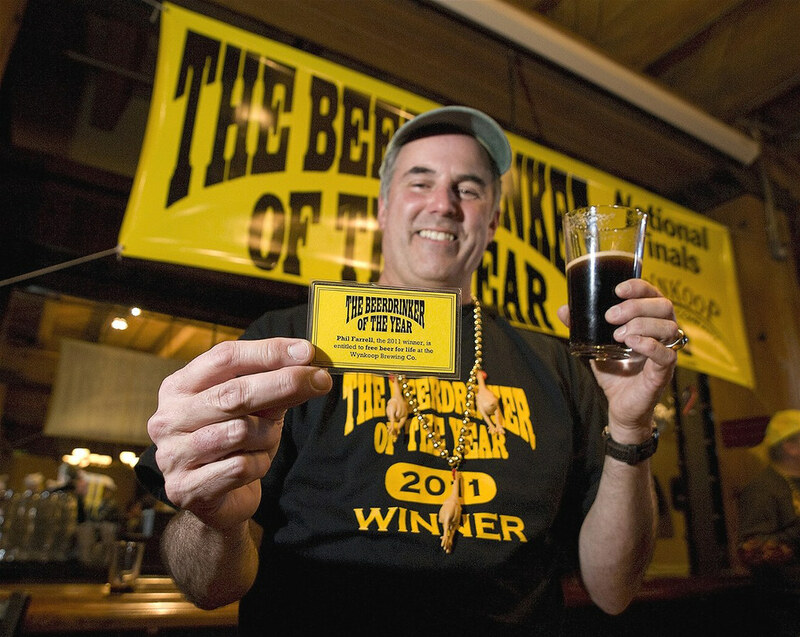 Phil in 2011, when he won Beer Drinker of the Year at Wynkoop.